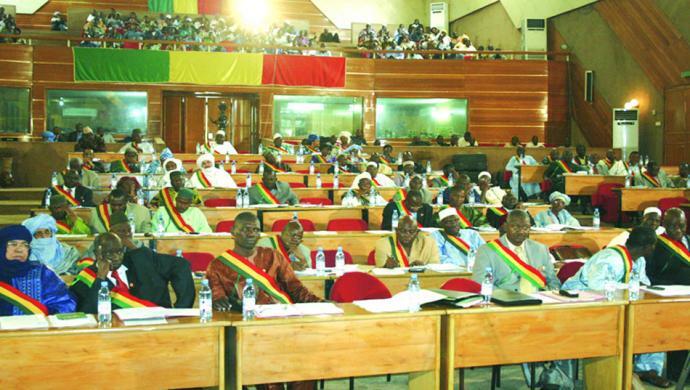 This past Monday Captain Amadou Sanogo, leader of Mali’s CNRDRE (the group most foreign media mistakenly label the “ex-junta”), announced that he had asked Mali’s prime minister to organize a “national convention” to choose a president to oversee the transition to new elections. It’s unlikely this request, which has divided public opinion here and been rejected by the current interim president, will be honored. The anti-putsch camp has voiced its opposition; meanwhile, the local press buzzes with reports that Sanogo wants the job of president for himself. And time to resolve the matter is even shorter than we knew: the state-run newspaper L’Essor stated this week that the 40-day interim period ends not on Tuesday, May 22, as most of us had thought, but on Sunday, May 20 — since the period officially began with the Malian supreme court’s declaration of a “vacancy” in the presidency on April 10, rather than the interim president’s swearing-in two days later. As of this writing, the deadlock persists between Mali’s civilian authorities, who want to advance the country’s transition process through existing political institutions, and the CNRDRE’s supporters who prefer to wipe the slate clean and start fresh. The latter approach is what Sanogo’s proposed national convention is all about, and underlies a pattern of extra-institutional measures the junta has proposed or pursued over the last two months. The root of the problem is this: Malians don’t trust their politicians. 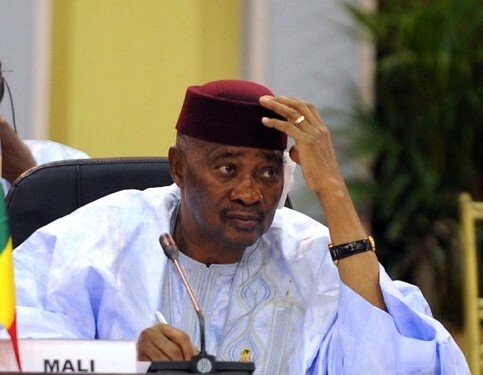 Okay, politicians everywhere are mistrusted, but in Mali what’s known as the classe politique — the ensemble of elected officials, candidates for public office, and their highly placed associates — has an especially bad name. Recently I interviewed a Bamako talk show host who frequently debates politics with listeners phoning in to his program. His callers tend to define politicians as people in power who pursue personal ambitions. “They phone in all the time saying ‘Those people think only of themselves and their interests,'” he told me, “and that’s why some even say ‘We don’t want politicians anymore. '” This sentiment explains strong local support for the junta and its bid to exclude politicians en masse from Mali’s transitional government. We keep hearing rumors that Sanogo has a dossier on every crime committed by the country’s politicians since the early 1990s, and that for the good of all Malians he is seeking to keep those criminals out of the political process. You could describe this sentiment as an extreme version of the anti-incumbent fever that periodically sweeps the United States, but it goes further than that. The political class, according to this mentality, is not merely a predatory or parasitic entity that feeds off the people’s resources for its own selfish ends. It’s also an alien entity, utterly divorced from the people; it was not sent by them, was not maintained in office by them, and has no mandate from them. Such sentiments are entirely understandable, given ordinary Malians’ widespread disappointment with the governance of their country. “A fish rots from the head,” goes a common expression here casting corruption as a problem that trickles down from the political class. As tempting as it is to blame Mali’s problems entirely on a clique of greedy politicians (and, directly or indirectly, on their foreign backers), however, it is also misleading, even disingenuous. Flouting the law in Mali is hardly the sole prerogative of elected officials or civil servants. Everybody does it, literally everybody, from merchants who bribe customs agents to give them a break on import duties, to drivers who never bother to register their vehicles or obtain drivers’ licenses, to sidewalk vendors who illegally occupy Bamako’s public thoroughfares. And the temptation to embezzle public resources arises not merely from individual greed: it is driven by social pressures that are extremely difficult to resist. The problem with the political-class-as-vampire-squid notion is that it overlooks the social structures in which Mali’s political class is embedded, the webs of reciprocal obligation that connect politicians with their local clienteles. It highlights the links between Malian elites and foreign interests, but obscures the links between Malian elites and ordinary Malians. Africanist scholars from Jean-François Bayart to Patrick Chabal and Jean-Pascal Daloz have gone so far as to argue that it’s not the state that preys on society in this part of the world, but the reverse. More than once, listening to Bamakois vent their frustrations at their unresponsive government and politicians, I’ve been reminded of my own country, where we have the best Congress money can buy and where corporations have the freedom to bankroll candidates who advance their interests over and above the common good. Whether in Washington or in Bamako, we need to confront the power imbalances that keep democracy from functioning. At the same time, however, ignoring Malians’ everyday complicity in their government’s failures will not serve their interests in the long run. Even if the country somehow rids itself of its entire political class and starts over from scratch, bad governance will persist as long as the social roots of corruption and clientelism go unaddressed. The danger of populist, extra-institutional approaches like those proposed by the junta and its supporters these days is that they blind people to the structural causes of the problem. Experience has shown that all too often, the “remedy” such approaches offer turns out to be worse than the disease it is supposed to cure. This entry was posted in Uncategorized and tagged amadou sanogo, bamako, corruption, mali, politics. Bookmark the permalink. Thank you for this excellent and helpful analysis. Thank you for yet another excellent piece. I have myself worked a little on the clientelist networks causes and effects in the educational system and have brought up the topic many times with various interviewees. The disconnect between these views of politicians “eating” and therefore being unpatriotic and the admission that one would do (I even heard: ought to do) the same for his/her own network if he/she was in a position to do so always baffled me. Bruce, nice post. It is, of course, a story in practically all nations and all places, at one time or another – corruption and cynicism about politics, that is. Has happened time after time in U.S. history and elsewhere. I always thought folks in Mexico were among the most cynical, viewing every election as “a choice between two evils” and justifying choices on the saying “the evil you know is better than the evil you don’t.” In Bambara, I recall, the word for bribery literally means “something that comes in the night” – no foreign word required… Here in Peru, which polls show leads Latin America in distrust of politicians, we have an ex-military man as president, who just a year ago was thought to be a Chavez in disguise but whose popularity now is greatest among the highest socio-economic classes and descends after that. What’s the Bamanan term for bribery to which you refer? The only one I know is “yirugu-yirugu” and I don’t even know the literal meaning. Your insight from Peru is interesting — I think Sanogo’s support here tracks closely to the lower socio-economic rungs of society (i.e., the majority) although it is by no means limited to the uneducated or the poor. I think Sanjay is referring to : súrɔfɛn ~ súrafɛn. Though I think that in looking for an equivalent of bribery we are going to frequently come across the problem that traditionally in the Manding world, “corruption” or “bribery” in the way Westerners perceive it may not exist. There are attempts to use traditional terms as neologisms or stand-ins for “la corruption” of French but they may carry a different connotation to a Bamanan speaker. Dumestre in his dictionary defines súrɔfɛn first as “cadeau donné aux pères de la future épouse au moment des fiançialles” before listing other ideas of kick-back, bribe etc. It’d be interesting to see what the younger generations in Bamako use to refer to kick-backs and bribes but I wouldn’t be surprised if they use French loan-words or other slang in place of traditional Bamanan terms. And for yirigu-yirigu, maybe that it’s a variant of yɛ̀rɛkún being doubled: yɛ̀rɛkún-yɛ̀rɛkún ? Yɛ̀rɛkún being an empathic form of yɛ̀rɛ meaning “one’s self”, I am thinking that it could have a semantic shift to mean “everyone for himself” and by extension “corruption” ? Just an idea though — hard to know without confirming that it comes from yɛ̀rɛkún and seeing how it’s used in a sentence. Even la langue française lacks an equivalent of “to bribe”: donner un pot de vin is just a euphemism, literally meaning “to give a jug of wine.” Nothing wrong with giving a jug of wine between friends, is there? Bien sûr que non, monsieur! Nonetheless I think that currently the term clearly has the negative connotations Westerners associate with bribes. Obviously Bamanan or any language could do the same but I’m not sure that súrɔfɛn is used in that way today by most Manding speakers. Wasn’t this the main reason that Yeah Samaké was running? Is he taken seriously at all on this issue? Fighting corruption was (is?) certainly a big part of how Samaké pitched himself. As illustrated by the radio host’s anecdote about the ministers, however, it takes more than one principled individual in power to change the system. As I wrote in March, I’m not sure how seriously Samaké’s candidacy was/is being taken in general here but he was/is not in my view anywhere close to being a frontrunner. Moussa Mara, mayor of Bamako’s Commune IV, is another young reformer with a good name in fighting corruption, but he too is a relative political newcomer without the experience or national support base to run a successful national campaign. Rock on with your bad self! I greatly appreciate that you have brought to the table a perspective on corruption that includes that which takes place here in the U.S. It has always greatly irritated me (to put it mildly) how so many Americans and especially our politicians, as well as countless powerful folks (I could have used another 5 letter word that starts with “f” and ends with “ks”) in places like the World Bank and the IMF, point their fingers and shake their heads at “third world corruption”. Given the time tested truth that ‘power corrupts and absolute power corrupts absolutely’, it seems fair (to me anyway) to state emphatically that the greatest and most dangerous corruption of all exists right here in the good ole U. S. of A. and in the other most powerful countries of the world. All that said, I agree that the type of corruption most common in Mali is definitely complex and its web and tentacles seem embedded in the social fabric. Given that the average income (last time I checked) in Mali is about $365 per year – combined with the depth and power of social ties there -, it is easy to understand how when someone gets a gainful job, the people with that person’s network expect a certain piece of the pie. It’s kind of like, when someone has food ready to eat, one says, “Aye na duminike!” (Come eat!). -which, by the way is one of the many great customs of Mali that I greatly miss. However, when it comes to access to money, favors, and power, it seems that all too many people have already washed their hands and gathered around the bowl ready to dig in! Until the masses politely decline the proverbial meal that not everyone is invited to share in and say “K’i ni here be”. this clientele-ism will never go away. Then again, it would be much easier for people to decline the same proverbial invitation to eat (or at least refrain from preemptively washing their hands and smacking their lips) if there were more food (literally) to go around in the first place! – not to mention better access to education, health care, land rights, etc. and people had more reason to have confidence in their safety and security beyond tomorrow. Very well put, Greg — the metaphors of eating say it all. Thanks so much for another brilliant analysis. He admits accepting “gifts” from various “persons of good will” — traders, probably — who enable him to feed his troops, cover his transportation needs, buy fuel etc. (See his recent interview in Le Pretoire for details.) Why should an army officer resort to extra-governmental funding sources? What will his benefactors expect in return? If Sanogo remains in power, the problem will only get worse. I predict violence starting within a week in Bamako…unfortunately. Thanks for the insightful analysis. Words I have headed for bribery are: Surafen, which I take as a gift. Na Songo, or money for the gravy. A yere kun, something for himself. It is customary in Malian society to give gifts to those in positions of authority as chiefs, or head of house holds for marriages etc. Lower echelon officials as policemen, who are not well paid, ask for small gifts using na songo. One official explained that, “You only lick the salt, you do not bite it,” by way of explaining how gifts are to be taken from the people. It seems the economic fabric of the society is the family unit, and extended family after that, so nepotism is built in to what ever economy is super imposed on this. It is expected that graft will set in, so one way of dealing with this is to move heads of geopolitical areas from one area to another on a periodic basis so the influence of graft has to “reboot” with the new administrator. This maybe what is happening on the national level? Thanks for this fantastically rich information! My belief is that the new power-holders in Mali cannot and will not be different from their predecessors! Or else Sanogo and his affiliates would not be clinging to power. In Mali, everyone says “corruption has ruined the country! We have to fight against corruption” And yet everyone is corrupted! The sad thing is that Mali is more and more losing what has made it a nice place to live in during the past 20 years! People don’t feel free to say or write publicly their opinions on the junta. Rumours are saying that security officers (police, gendarmerie, garde nationale) are out in the streets, dressed as civilians, to report on what is being said on the junta in what we call the “grins” here! People are put under arrest arbitrary just because they do not support the junta! Is this the Mali some Malians want to live in? Anyway, I tell them “Good Luck”! Very soon, they will be missing the time when ATT and Konaré were in power! There were corruption but there was FREEDOM! Freedom to move in the country at any time! Freedom to express one’s ideas! And there was HOPE! Hope that tommorrow may be better! But since the March 22 coup, the future in Mali has become DARK! If Sanogo takes back power on May 22 as he is planning, then Mali will be definitely isolated by the international community! Development projects funded on foreign aid are being stopped! People are losing their jobs! Even civil servants will not be having their salaries in a few month cause taxes and custom duties are not being recovered normally to finance their salaries etc.. I think Mali and Mains really deserve this DARK perspective! Then we may understand what Democracy and Freedom mean!! Corruption and bribery have had a long tradition in the US as many have pointed out. My mother remembers turkeys being distributed by alderman just before elections in Chicago! An interesting anti-corruption/anti-bribery effort comes out of India where corruption is rampant. From their website: “Concept–The zero currency note in your country’s currency is a tool to help you achieve the goal of zero corruption. The note is a way for any human being to say NO to corruption without the fear of facing an encounter with persons in authority Next time someone asks you for a bribe, just take your country’s zero currency note and hand it to them. This will let the other person know that you refuse to give or take any money in order to perform services required by law or to give or take money to do something illegal” http://india.5thpillar.org/front_page. I’ve wanted to take this idea and send $1 million or so to various Congressional folk who appear to take lobbying money w/ ease. Nice analysis and great blog, i ni tiè! Many young Malians like myself realize the irrationality of this much-prevalent (unfortunately) mindset, which is like “wanting one thing and its contrary”: hating corruption and nepotism and despising the “corrupts”, while at the same time accepting and seeking those illegitimate benefits for oneself. However conscious and willing to break this habit people may be, they are short on practical ways to do that. As you rightly describe, the social pressures involved are extremely difficult to resist. The “duty toward family” may take the form of payback: for example, you are asked to place a cousin in a job by her mother, the very auntie that secured you years ago your first internship on the way to your career success leading to your current position of power. On a different subject, I am a bit surprised by the statement that ATT was seen “as a puppet of French interests “. Everthing I’ve heard regarding his relations with the French point to the contrary, for causes ranging from his refusal to sign Sarkozy’s “agreement for concerted management of migratory flows”, to his “softness” on AQIM (publicly denounced by the French Ambassador), his lack of support for the French position re: Gbagbo and re: Kaddafi, to an alledged refusal to let the French set a military base in Sevare. For these reasons, some even saw a French hand behind the coup (http://www.echosdafrique.com/20120322-mali-les-vraies-raisons-du-coup-detat). So I am curious what makes you say that? I hear the ATT-as-French-puppet theory a lot from ordinary Bamakois, and I see it online quite a bit. France is sufficiently unpopular here that Bamakois accuse anyone they disagree with or dislike of being in league with the French. You sometimes hear these views espoused by the “anti-globalization left” e.g. Aminata Dramane Traore. Here’s one op-ed from a pro-putsch Bamako newspaper that describes the entire political class since 1992 as in league with the French (and Freemasons!) to destroy the country. In contrast, I don’t know anyone here who thinks the French supported Sanogo’s coup. Personally, I think all the stories of French interference and plotting in the region are overblown.